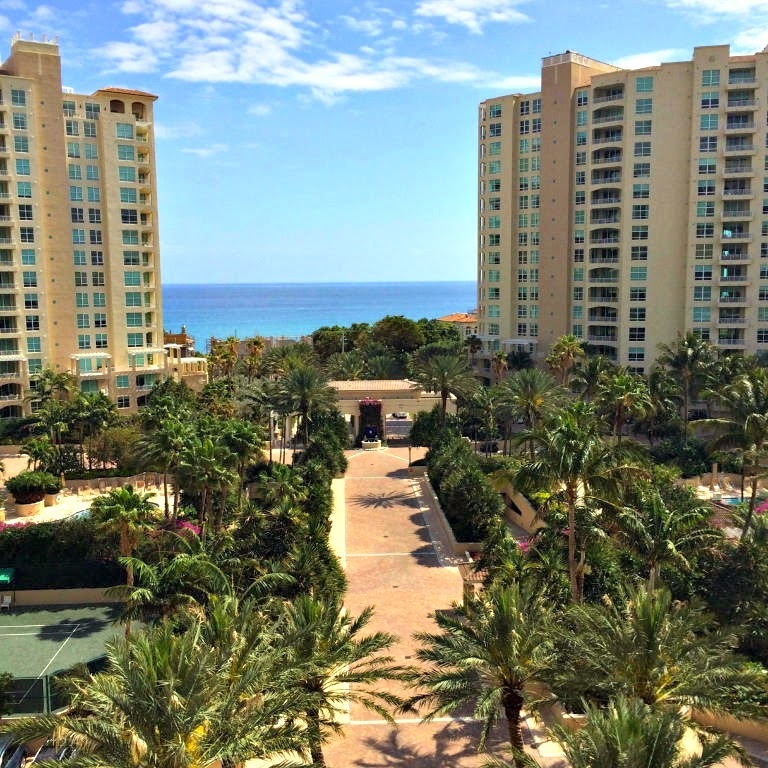 Just listed in the sophisticated coastal city of Highland Beach, Florida in the oceanfront condominium community of Toscana is this casually elegant 2BR/2.5BA waterfront condo. Tucked away on the 8th floor, this 2,547 square foot Toscana Highland Beach beauty captures spectacular ocean, Intracoastal and city views from nearly every room. The beautifully appointed interior boasts a wealth of deluxe features including a gourmet kitchen with upgraded appliances and Poogen Pohl custom cabinetry, a flow through design, a split bedroom floor plan and marble flooring throughout. Additional luxuries offered with this unit include impact windows with 3M solar film, a new A/C unit, an 80 gallon hot water heater, two private elevators, two private balconies and two garage parking spaces. 3720 S Ocean Boulevard #805 is located in Highland Beach and is currently asking $1,425,000. This Toscana listing is courtesy of Florida's Finest Realty, Llc. MLS# RX-10122699. Toscana Highland Beach is an oceanfront community of luxury condos located in the sophisticated seaside city of Highland Beach, Florida. Ideally situated near Boca Raton and Delray Beach, Toscana Highland Beach offers residents a premier location in addition to an impressive 5-star amenity package including 24/7 security, valet and garage parking, three resort-style pools with sundecks, state-of-the-art fitness center, billiards room, two Har-Tru tennis courts, and a private Mediterranean beach club offering its own list of impressive amenities.